Band Material: Leather band wrist watch. Case Material: Bamboo. 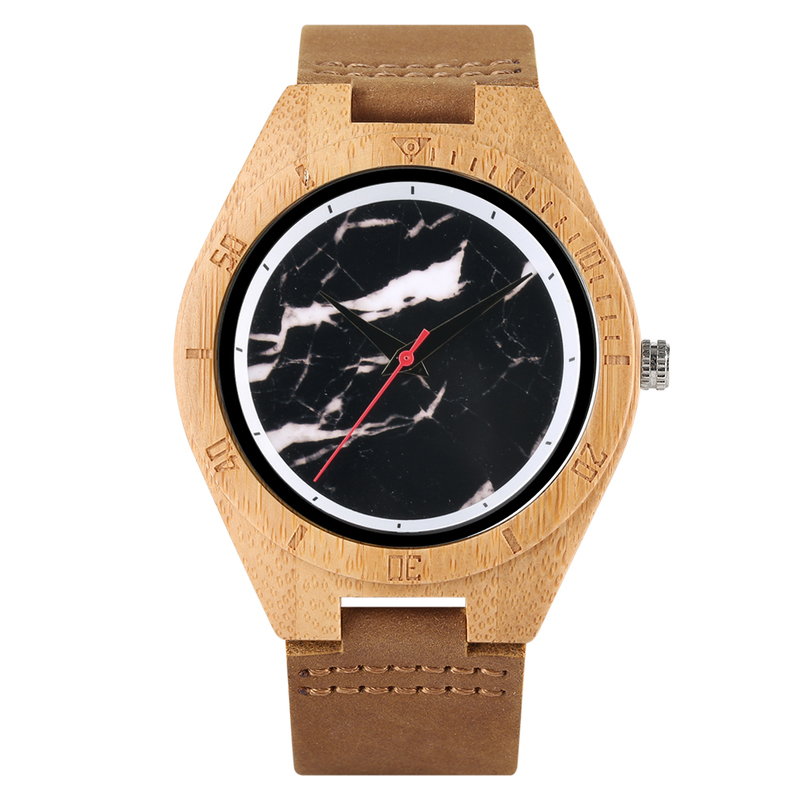 Movement: Quartz movement wrist watch. This unique watch will make you look more attractive and it matches perfectly with your daily outfit.